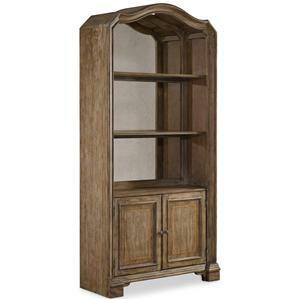 Your books, collectibles, photos and more will have a new home that brings lots of character to the room. 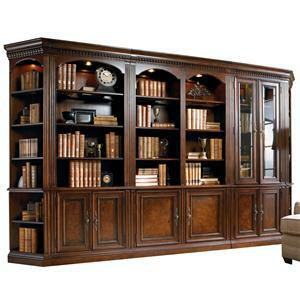 This entertainment unit features notable detailing and crown moulding that easily stands out and grabs attention. 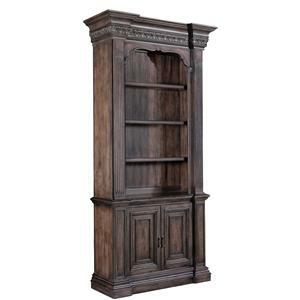 The entertainment bookcase features 6 adjustable shelves, and 1 adjustable partition that can be customized to your desired tastes and needs. 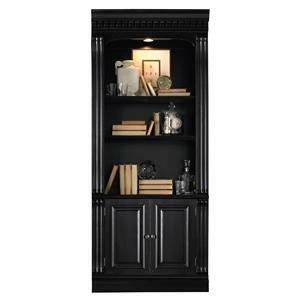 The base features three doors that provide plenty more storage opportunity. 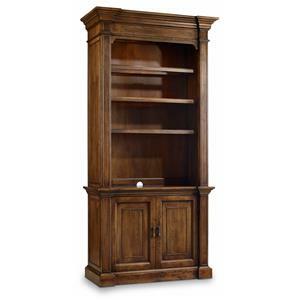 The Biltmore Entertainment Wall Bookcase Unit with 3 Doors and 6 Shelves by Fine Furniture Design at Stuckey Furniture in the Mt. Pleasant and Stuckey, South Carolina area. Product availability may vary. Contact us for the most current availability on this product. Construction: Case Frames Are Square. Corners Are Joined And Aligned. 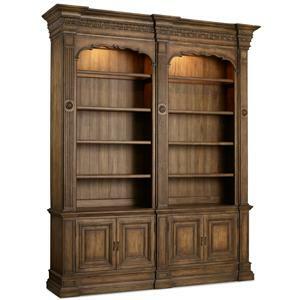 Care Is Given To Construction Techniques That Insure That The Products Do Not Wobble Or Rack. Parts Are Joined With Screws, Corner Blocks, Dowels And Glue To Assist In Properly Shaped Joints. Beds Are Assembled With Bolts, Supports And Metal Brackets For Sound Construction. 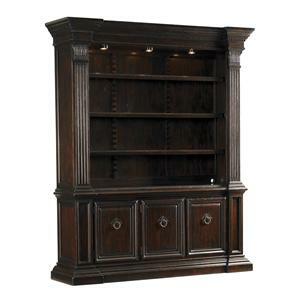 The Back Panel On Our Chest, Dresser Or Entertainment Centers Are Stained And Top Coated.It Is Attached To The Piece With Screws, Adding Stability To The Furniture And Preventing Racking. 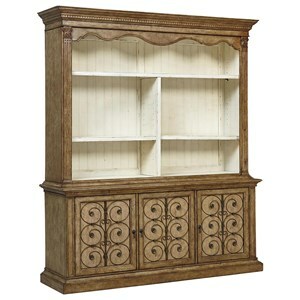 The Structure Of A Chest Or Dresser Is Reinforced By Inserting Wood Between The Drawers. These Pieces Of Wood, Known As Dust Proofing, Keep The Contents Of Your Drawers Clean And Add To The Structural Integrity Of The Piece.